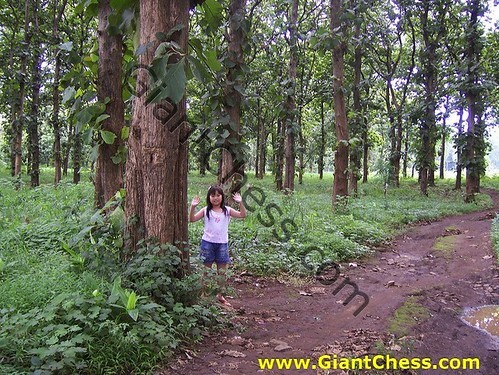 Teak forest is kind of forest which dominant covered by Teak trees (Tectona grandis). In Indonesia, Teak forests are found mainly in Java. But now also has spread to various areas such as the islands of Muna, Sumbawa, Flores and others. Teak forest is the oldest forest management in Java and also in Indonesia, and one of the best type of forest management. The management has continued till today. The legal Teak wood in Indonesia is the one that has complete legal letter from Indonesia government. It because the Teak forest and Teak wood are managed by government in almost all forest. Some personal Teak trees also completed with government letter for trader need. In Java island itself, Teak forest has protected by government to avoid illegal trader. But this management is not influence the quality of Teak wood. Java Teak wood still in high demand for timber export, furniture material and so on. Try to visit Java island around and you'll find many Teak forest spread there.